Which guarantees do I have when I pay you for an order before being delivered? Vu Sur is a company incorporated under Cameroonian law, registered in the trade register under N ° RC / YAO / 2015 / ha / 4345. The head office is situated in Yaoundé, Tsinga; P.O Box: 30306. Express Union and Free Cash, our partners for the payment, are very well known and represented in several towns of Cameroon. The best way to be sure is to try; you will not be disappointed. We started the company in July 2015 and today we already have more than one thousand customers very satisfied by our services. Do as they did and join Vu Sur's trend! The watchwords of Vu Sur are: “transparency and efficiency”. Test our services and you will not be disappointed; on the contrary you will ask for more. You have seen an item that you are interested in. Click on “place your order”. You will be redirected towards a form which you will have to fill by typing your address and phone number, as well as the links of your items. You can also send us the links of your products by e-mail at the e-mail address contact@vusur.com. Then we will estimate the total amount you will have to pay (price of items, cost of the delivery in Cameroon, Vu Sur’s fees). Finally you will receive a summary of your order by e-mail and SMS, with the amount to be paid and the reference number. You will then have 48 hours to pay for your order by one of the indicated means. How do I settle my orders? 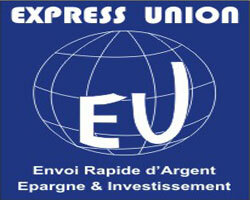 Payment by cash at any Express Union agency (An EU BILL payment to Vu Sur partner). 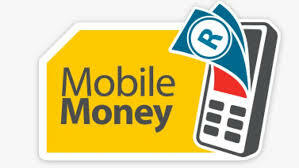 Payment by Mobile Money: by making a transfer to the Orange Money or MTN Mobile Money account of Vu Sur. 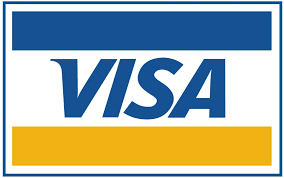 Banking payment:by making a bank transfer or a deposit of species in the account of Vu Sur. The delivery deadline is 15 days starting from the reception date of the items in France. This date depends on delivery deadlines of the foreign online stores on which the order was made. You will receive a notification once the items are delivered in France. From this date, you will have to consider 15 days maximum to get delivered in Cameroon. What are the delivery points? Vu Sur offers the delivery in Cameroon in delivery points that are Free Cash and ETS Charly; Vu Sur’s partners. You just have to specify the chosen delivery point when ordering. You will then be notified when items are delivered in France. From this date, you will have to consider 15 days maximum to get delivered in Cameroon. NB: for deliveries in a town different from Yaounde, you will have to pay a supplement fee computed according to the standards of our partner for delivery in Cameroon. How to contact Vu Sur's team? Is Vu Sur a store? No, Vu Sur is not a store but an innovative concept which allows you to place your orders on foreign online stores. We show on Facebook some examples of items that you can order through Vu Sur, but we have no stock. If you are interested in any of them, we can place the on-line order for you and transport the purchase to Cameroon. What does Vu Sur charge you? The invoicing of Vu Sur services is 100% transparent. Through Vu Sur, you will pay half the price you would have paid for the same items directly in Cameroon . Furthermore, with Vu Sur you are sure about the choice and the origin of your purchases. Cost of the item on the website = total Cost charged by the online store for the purchase and the delivery of the product to Vu Sur address in France. Transportation Fees from France to Cameroon = 10 000 XAF/KG. Vu Sur Commission and customs fees = 35% of the total cost of the item. What do the transportation fees to delivery point represent? On top of the transportation fees to Cameroon, Vu Sur charges you a small fee for the delivery to the delivery point if chosen outside Yaoundé. Those fees depend on the town of destination and on the weight of the parcel. May I pay all or a part of my invoice at the reception of my parcel? Since we have no stock, we buy products only on your request. Thus, we cannot charge the total of the invoice or a part of it at the delivery. In fact, in case a customer wouldn’t want to pay at the delivery, we would lose money since the purchase would have already been made. Can the payment be made in instalments? No, because foreign online stores want the complete amount of the article (including transportation fees) to be paid in advance before the product is delivered in France. We cannot thus accept payment in instalments otherwise where shall we take this money needed for the order of your article?